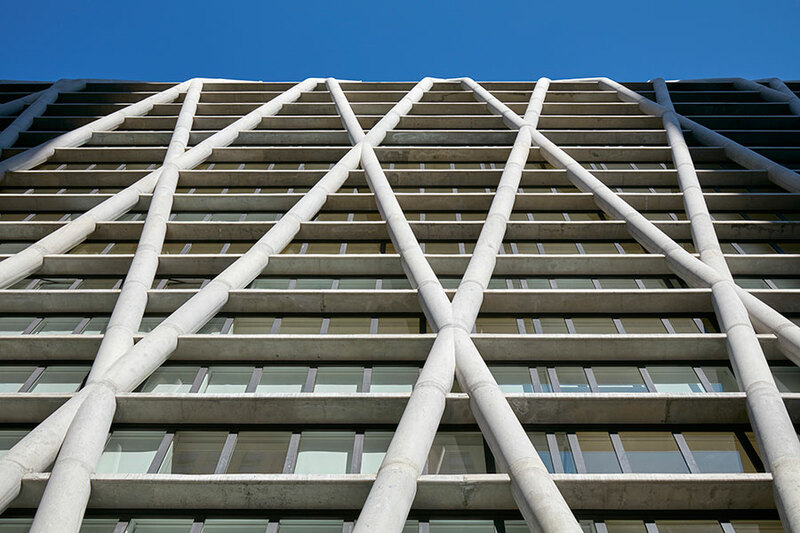 Unbroken bands of window walls sit beyond an exterior concrete structural frame. 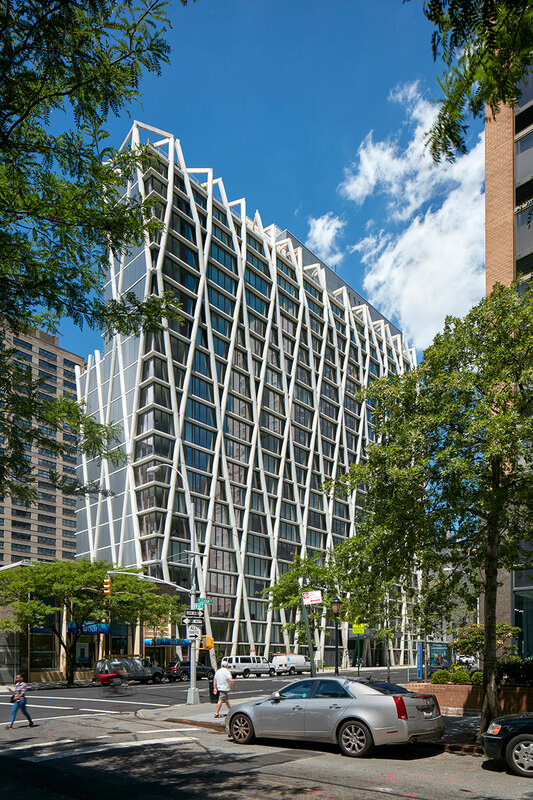 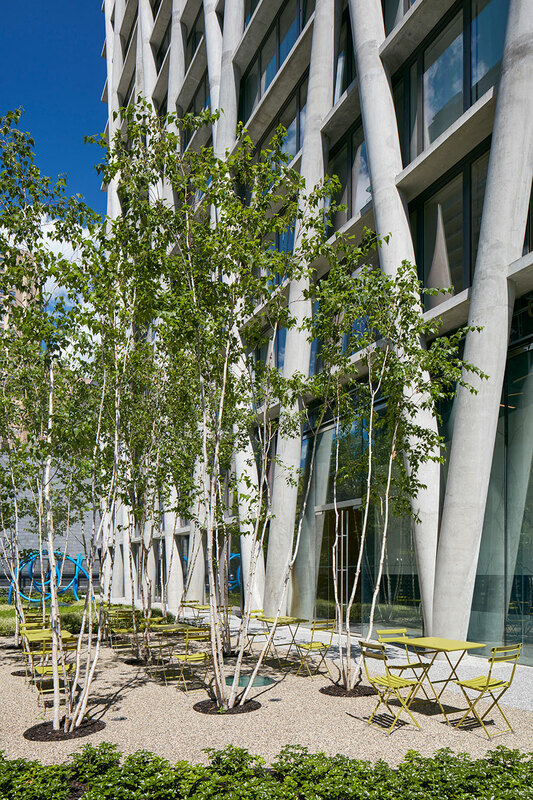 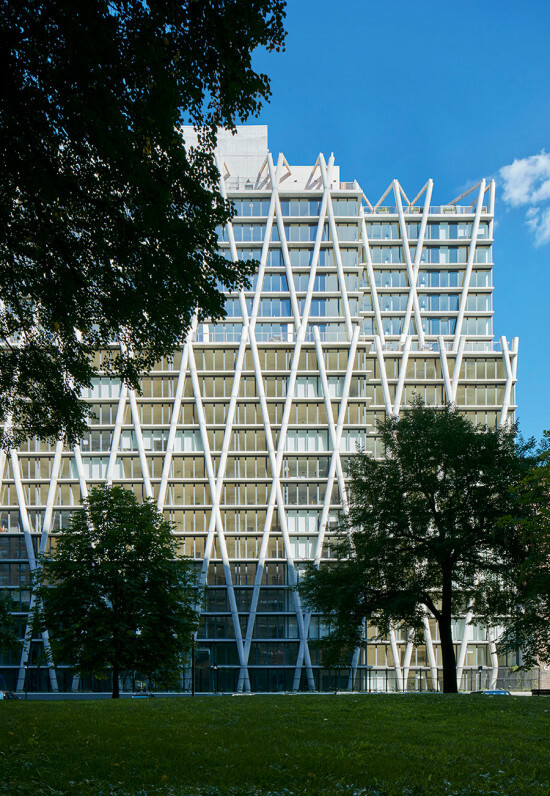 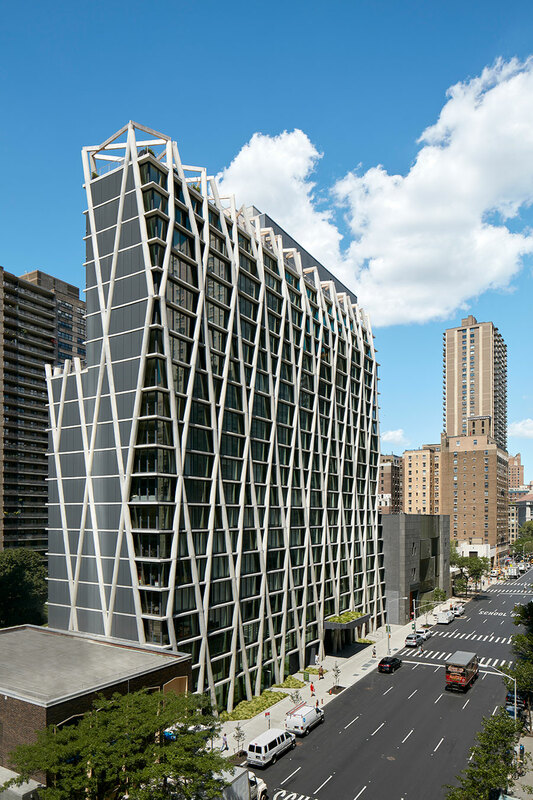 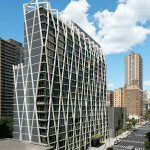 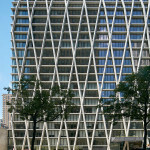 Completed earlier this year, a new market rate rental building on Manhattan’s Upper West Side by Handel Architects features a striking exposed cast-in-place concrete diagrid “exoskeleton” structure. 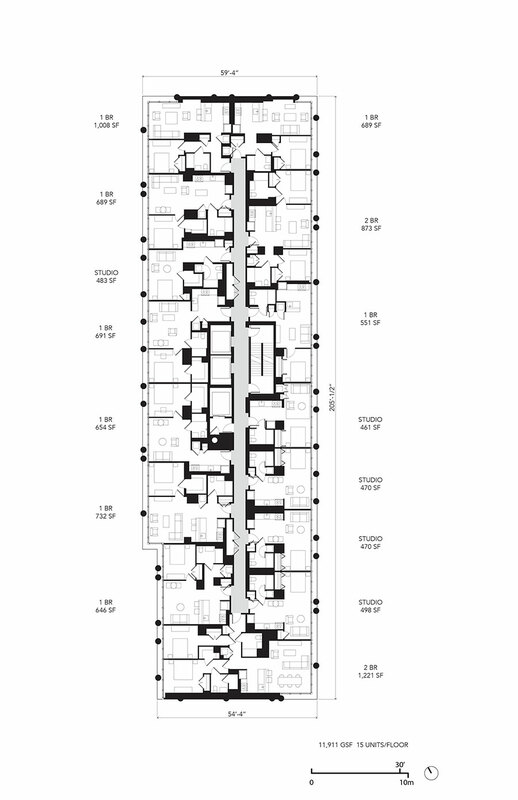 The system is designed in response to required zoning code setbacks that restrict building area to a mere 35’ wide at times. 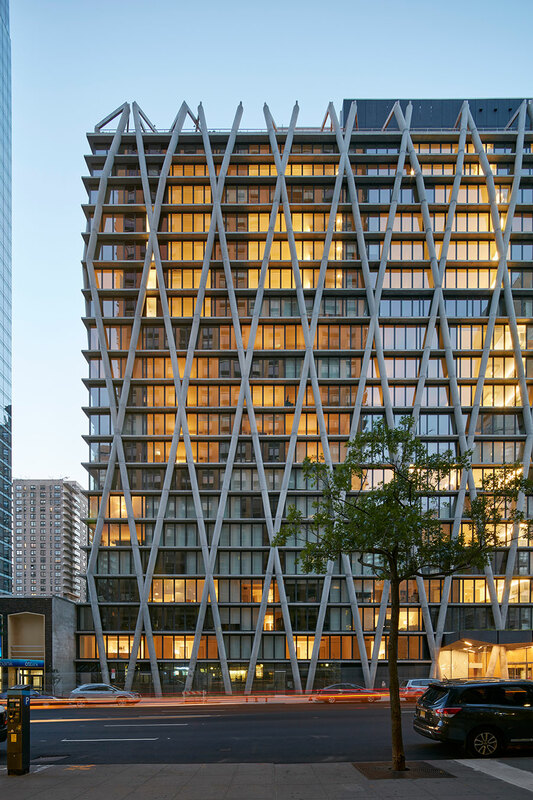 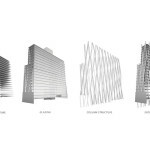 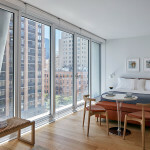 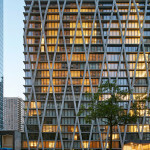 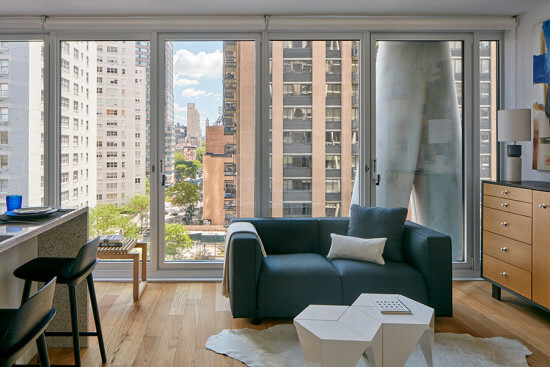 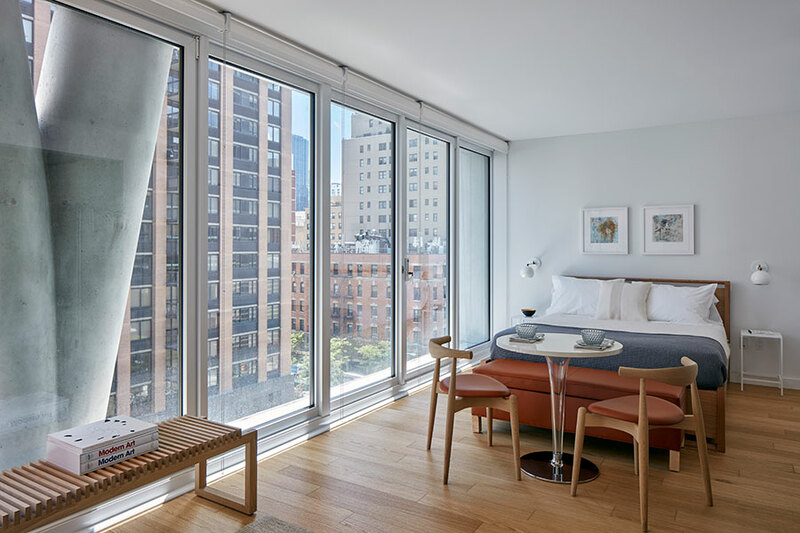 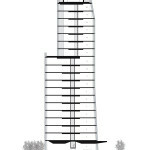 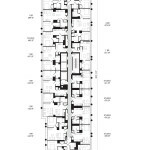 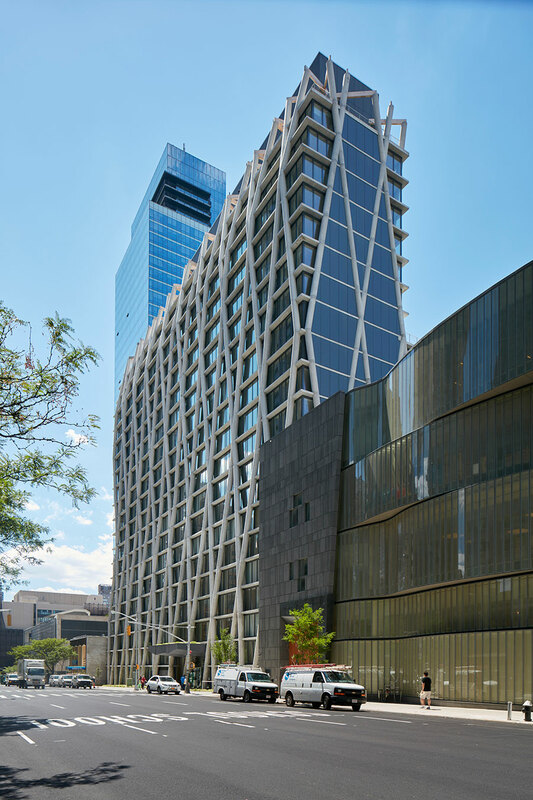 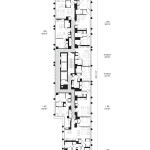 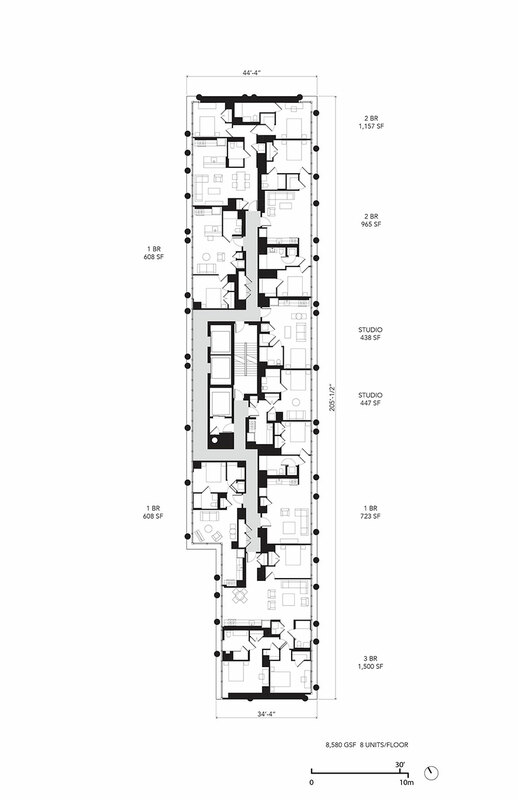 The project, named after it’s address at 170 Amsterdam, is located two blocks north of Lincoln Center, situated between two greenspaces – Central Park and the Lincoln Tower superblock – via 68th Street. 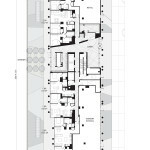 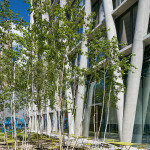 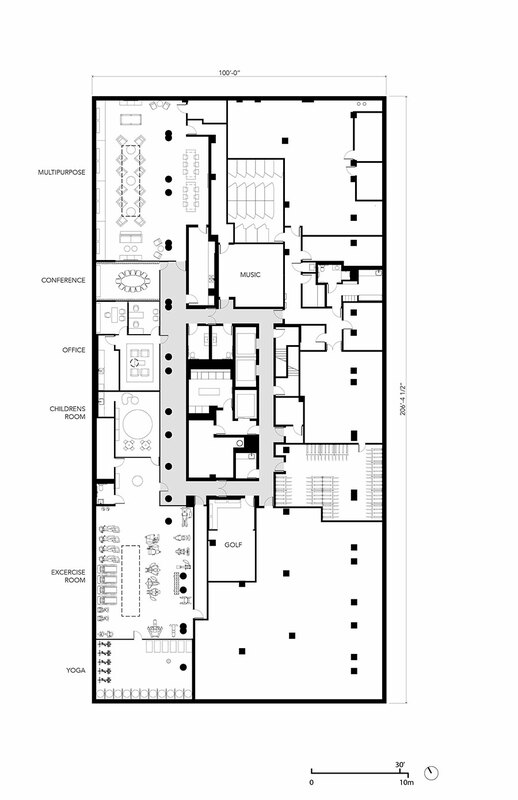 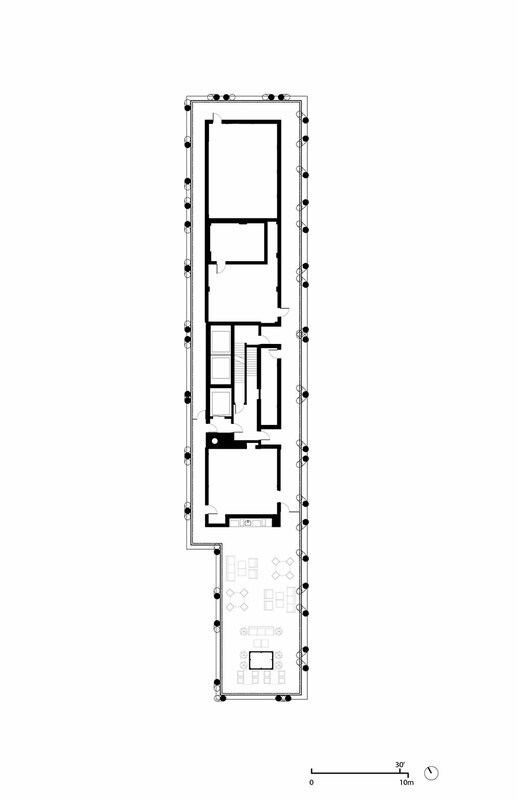 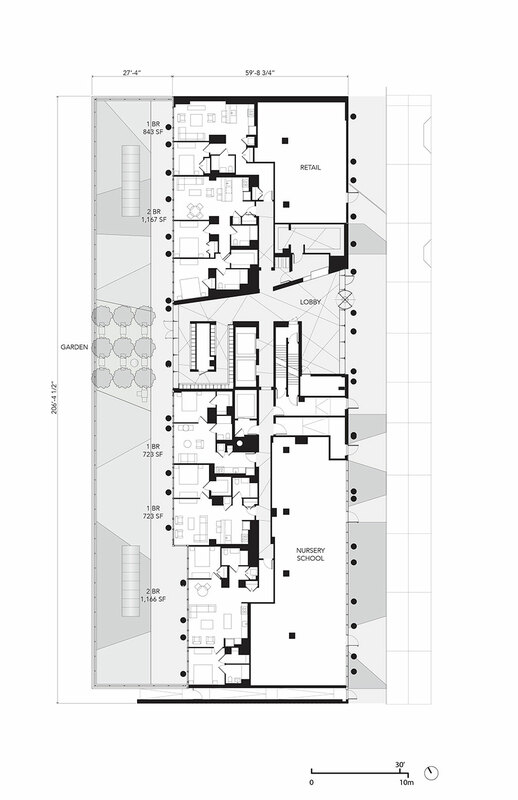 The lobby is a prominent glassy space containing a mix of community programs, formally and programmatically connecting the two sides of the building together, while abstracted tree-like columns punctuate the building envelope. 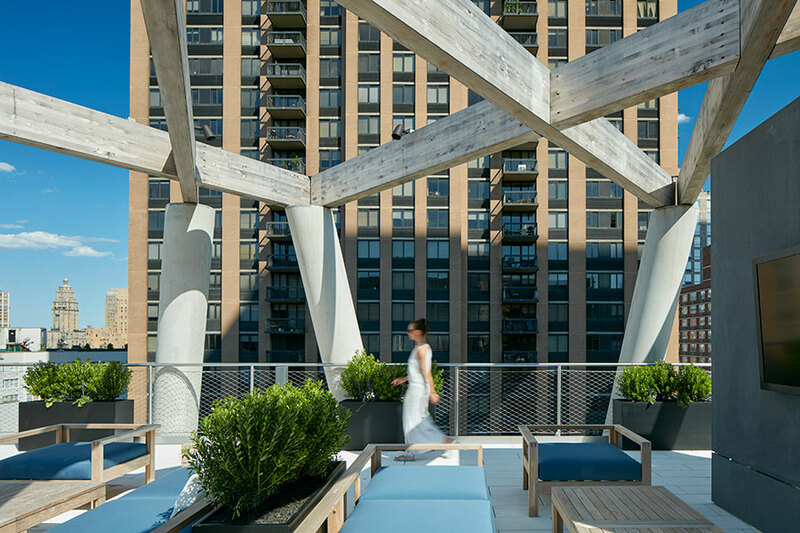 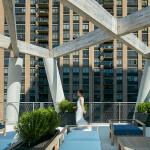 Aside from the contextual benefits to exposing a concrete system, the architects noted several benefits to a structural exoskeleton system, contributing to the client’s full support from nearly the beginning of the project. 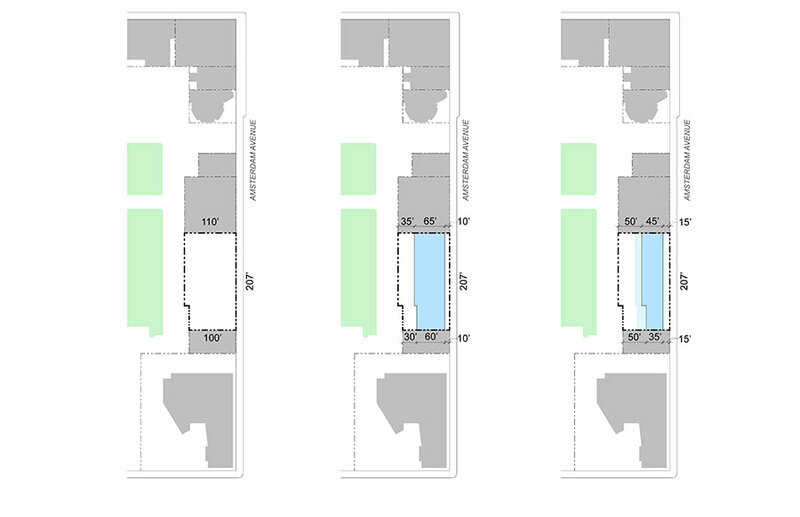 The most significant benefits to the building envelope design were seen when interior floor area was able to be maximized. 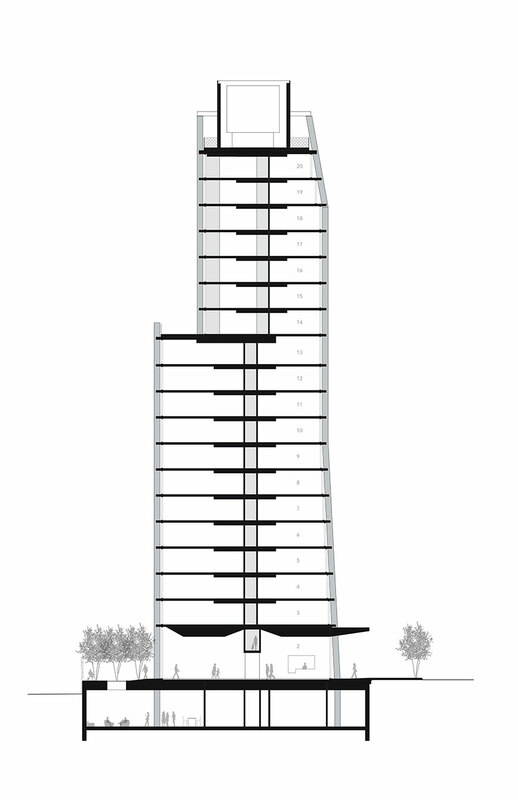 The structural system of the building resembles a shell structure, achieving high stiffness from an exterior diagrid of columns tied together with repetitive structural floor slabs. 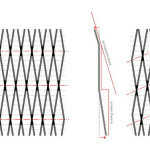 This stiffness allows for no shear walls to be required in the core of the building and relatively few interior columns. 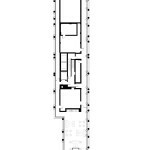 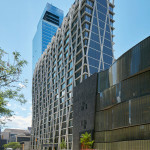 By moving the columns to the outside of the building, the city’s zoning department allowed for the floor area of the building to be measured to the face of the window wall, rather than the face of the structure. 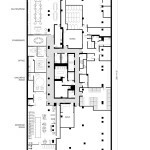 This allowed the architects to add an entire extra floor of program to the building. 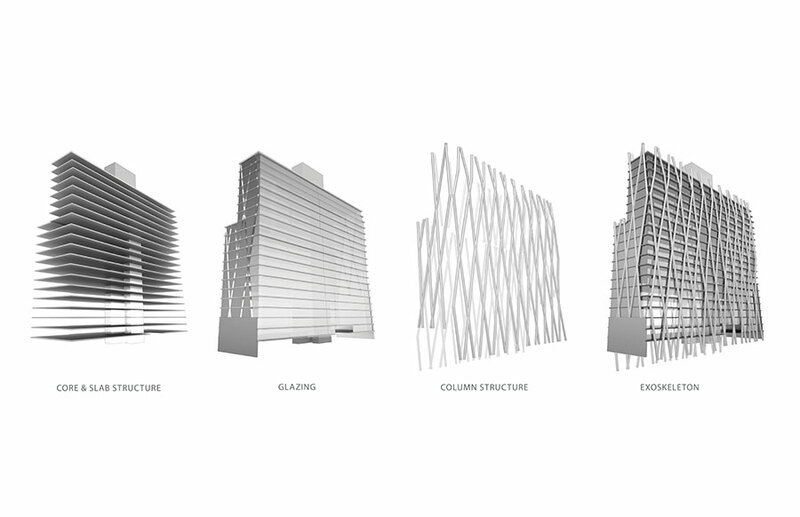 Additionally, the depth of the facade assembly acts as a brise soleil, passively helping to manage a less-than-ideal solar orientation (unavoidable due to the city grid and buildable area on site). 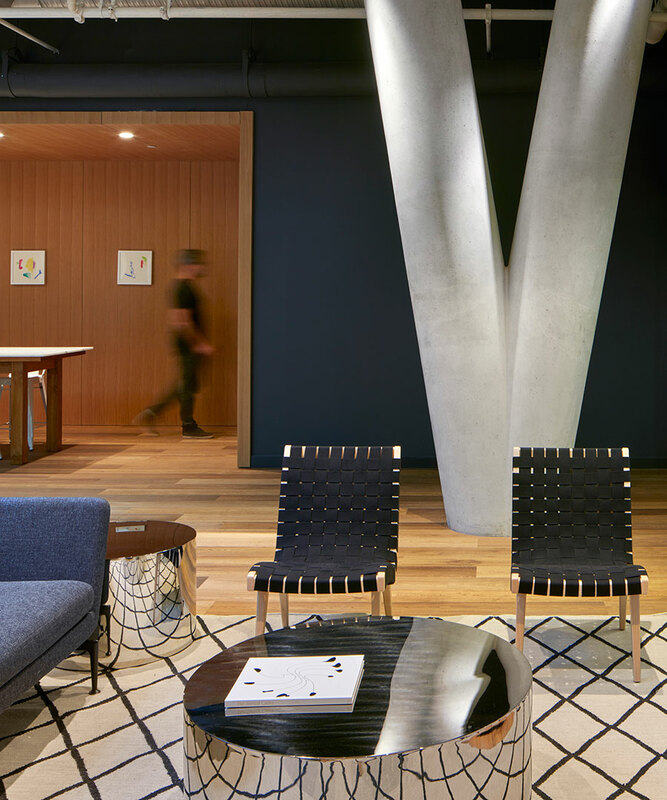 An extremely dense mix of concrete allows for the smooth finish and eliminates voids. 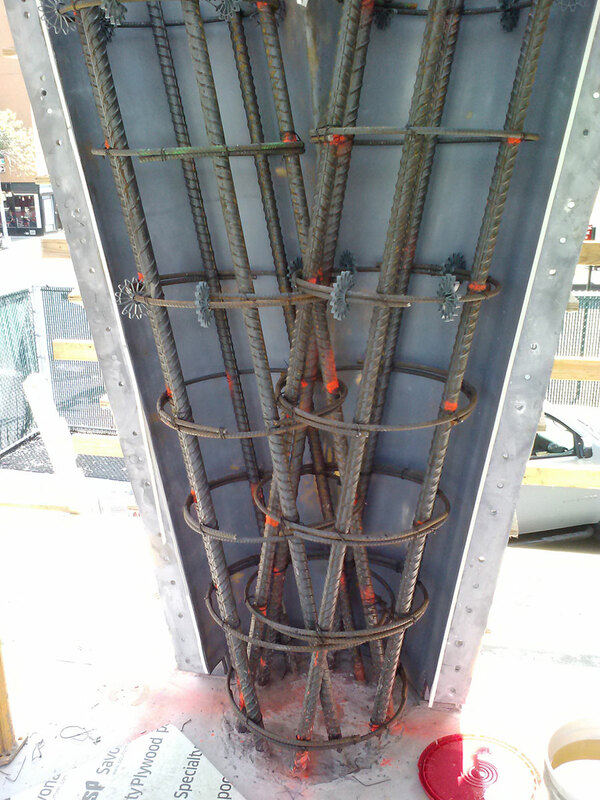 The use of less rebar permits a pump tube to be placed in the column and minimizes vibration. 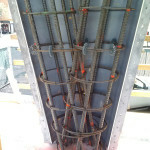 Slag was added to the mix to make the color of the concrete more like limestone. 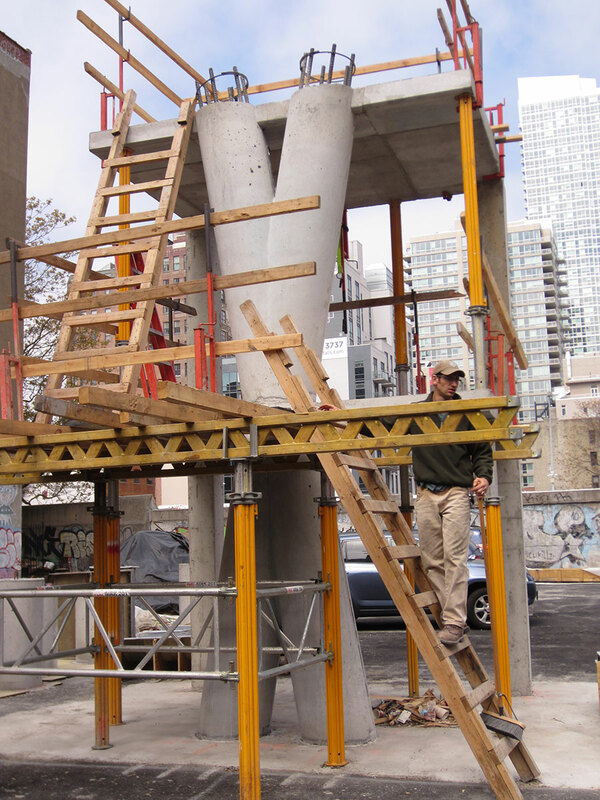 Installation of the building envelope after the concrete was poured occurred surprisingly quickly, at a rate of about one floor per week, adding value to the system. 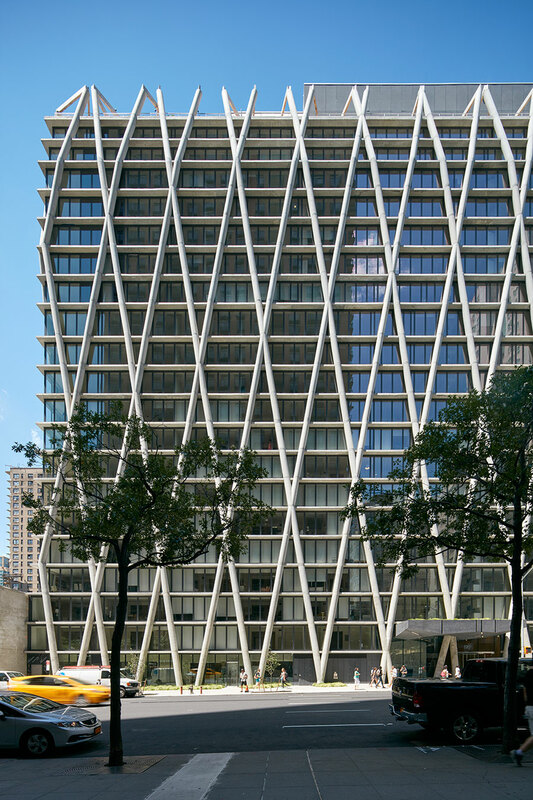 The design of the diagrid was optimized to reduce the quantity of fabricating costly “X” forms by shifting the grid on a diagonal axis.